Nokia 9 Release Date, Price, Specs, Features: Although the worldwide smartphone market is dominated by iOS and Android, Nokia can find its domain with some uniqueness. It is one of the hottest brands. The brand still has the fondness among the users. Thus, it can re-establish its base again. Nokia3, 5, and 6 have already been announced. HMD Global is going to reveal a couple of forerunner smartphones in June 2017. 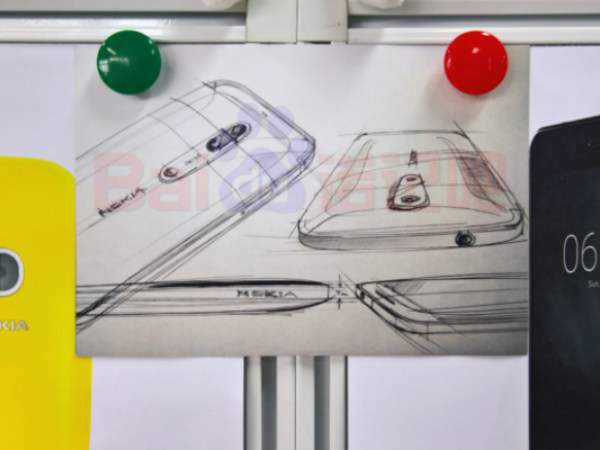 This is likely that the upcoming Nokia flagships will include Nokia 9 with many compelling features which are worth viewing and sketches of it have leaked online. There are some of the concepts featured in Nokia9 which are jaw dropping for everyone out there. Nokia9 has been gestated with a Snapdragon 835 processor paired with 6 GB RAM. This chip is this year’s fastest processor from Qualcomm. It has shaken up the entire smartphone industry. It comes out to be with two storage capacities – 64 GB and 128 GB. It might run Android 7.1. The customers are waiting eagerly for the release of this smartphone. Check: Best Android Phones Under 15000. 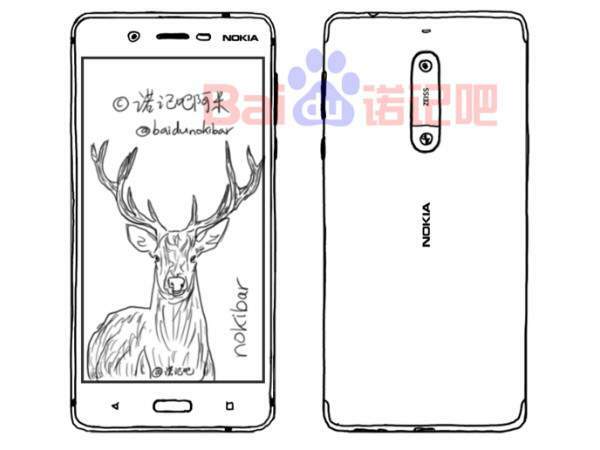 The design of alleged Nokia 9 (images) looks a lot symmetrical. It is 7.4 mm thin body made of metal with cuts for a subwoofer. The slim and sleek body of this phone makes it more likable and attractive in its aesthetic. It is likely to take advantage of a 3,800mAh battery. It will sport a 5.5 inch Quad HD OLED display and IP68 certification. It will feature Qualcomm QuickCharge 4. The leaked design of this phone shows Carl-Zeiss Dual-Lens Camera at the back. The concept envisages stunning 41MP Pure View camera sensor at the rear of the Nokia9. This feature just makes us reminded of Lumia 1020. It was the first brand to feature a 41mp camera. This feature will become an impressive hit in the amphitheater of smartphones and the popularity will just kiss the skies. HMD has plans to launch 6-7 smartphones in 2017. An unverified report stated that it would be the first to feature Nokia OZO Audio technology. The tech offers 3D audio optimized for headphones and spatial audio playback systems. It also offers low latency 3D audio playback for VR devices with head tracking and HQ stereo playback for devices which don’t have OZO support. It will enable smartphones with three mics to capture spatial 360 audio while phones with just two microphones will be able to capture spatial audio. In another news, it was reported that Nokia9 will feature a 22-MP rear camera with Carl-Zeiss lens and a 12MP front facing shooter. It is expected to come with Iris scanner. There has been no official word on the Nokia 9 price and release date by the company. So, it looks like the fans need to wait some more time. It is expected to be featured during the later half of 2017. The craving for the company can be seen again in the consumers and will bring a huge change in the smartphone area. Stay tuned to TheTribuneVoice for more phone news and tech updates.